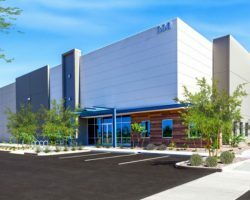 Artis has completed construction of the first three phases of Park Lucero, a four-phase industrial project located in the Greater Phoenix Area, Arizona. The three completed phases, which total approximately 485,000 square feet, are 100% leased. In Q1-18, Artis commenced construction of Park Lucero Phase IV, which is expected to comprise approximately 96,000 square feet, resulting in a total project size of approximately 580,000 square feet upon completion of all four phases. Leasing interest in Park Lucero Phase IV has been strong. Artis owns a 100% interest in Park Lucero Phases I, III and IV, and has a 90% ownership interest in Park Lucero Phase II as a joint venture arrangement.